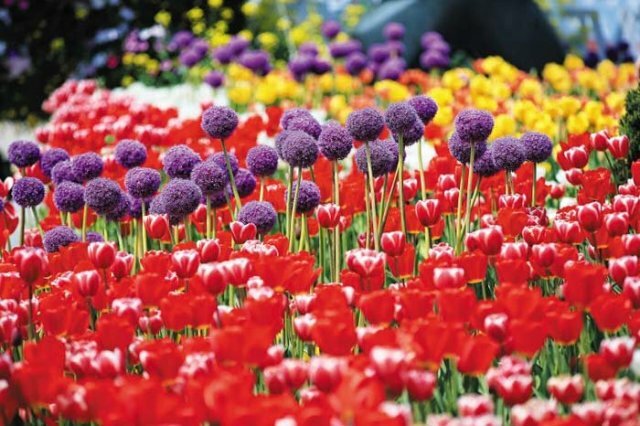 Korea's largest flower fair is set to kick off later this month. The annual fair, which marks its 13th year, will bring some 350 horticulturists and other experts from 30 countries around the world. One of the key features of the fair this year is some 35 gardens each dedicated to flowers symbolic of their respective countries. Along with flowers, flower figurines and other various ornaments will be on display, giving visitors a glimpse of recent global trends in the horticulture market. There will also be several places and gardens devoted to particular species of flowers. Tickets for the fair will be W12,000 for adults and W8,000 for the elderly and children (US$1=W1,141). For more information, visit www.flower.or.kr.